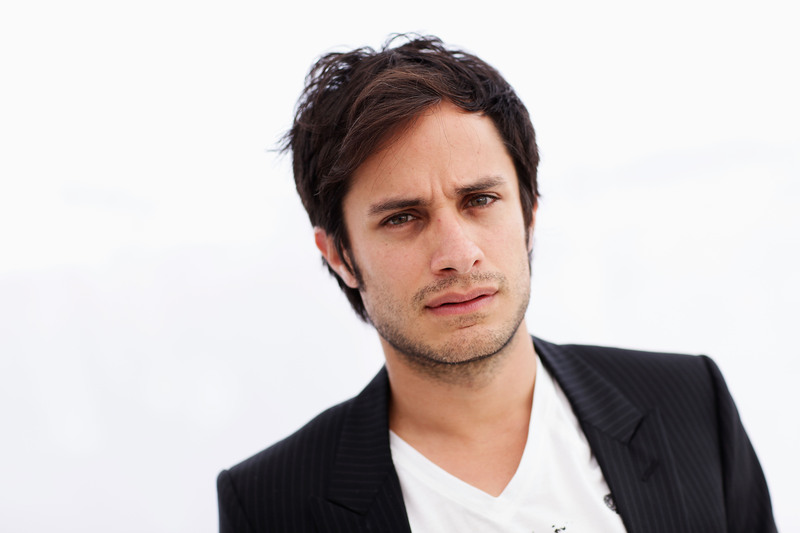 Gael García Bernal is no ordinary movie star. He's a political activist and, of course, his most recent collision of his celebrity and his activism is Bernal's staring role in Jon Stewart's Rosewater which debuted on Nov. 14. This film is about the 2009 detention of Canadian-Iranian journalist Maziar Bahari which, incidentally, was caused by an interview he did with The Daily Show's Jason Jones. Quite tragically for me, the combination of being an excellent actor who's also incredibly aware is my kryptonite so naturally I'm in love with Bernal. And though my interest in him is mostly his talent, I must admit that I'm also like damn, who's Gael García Bernal dating? Shameful as it may be, it's led to extensive Google searching. This, tragically, has been for the most part fruitless. I wanted to present to you with a detailed history of all the lucky women that had a chance to bask in Bernal's poetic existence (seriously, read any interview with him — this Esquire one is pretty great, ending on a romantic line about how he loves whale watching). Apparently, though, the actor is very successfully private, and there's not much in the way of a documented account of all his past relationships. So, instead, here are the definition of love as told by Gael García Bernal. Bernal was, for quite a long time, with the beautiful Dolores Fonzi, with whom he had two children. When they split in December, it was reported that the two divorced, but Bernal corrected that error — the two could not divorce, because they were never married. Bernal had this to say about marriage to Elle magazine: "What’s important is the arrangement. The responsibility. The deal. To do it with the person you’re embarking on [it with]. That’s more important than anything any religion or government would say." Gah, what progressive poetry. So many things have changed in the last century. The concept of monogamy is an inheritance of a medieval time, when family would carry the tradition of the name and certain privileges. It’s a way of organizing society, perhaps. So all the moral issues that carry with monogamy and the real meaning of where it comes from? It’s questionable nowadays. I can’t say I don’t believe in it, I just think that everyone has their own interpretation. Do I agree? Hell nah, but that's just because I am extremely possessive and jealous. Maybe he's got the right idea. At the very least, we should think about the historical aspects of monogamy. And he is right, everyone has their own interpretation of the boundaries and parameters of love. Is he ever wrong? Pause on those quotes for a minute. We've, finally got some real info. If there's one thing we know for sure, it's that Bernal dated Natalie Portman from 2006 to 2007. A fitting match, I'd say, since Portman is also known for her advocacy and philanthropy. Her efforts includes the Village Banking Project, helping impoverished people gain financial autonomy. Maybe they split because it was just TOO INTENSE and too heavy on the awareness. Who can say? They were quite the sight for sore eyes, though. So perhaps in the public eye, Bernal is private about his love life, but it's obvious love is something he thinks about a lot, as evidenced by his roles. The Science of Sleep was a dreamy, surreal exploration of falling in love, and Amores Perros was just the opposite, a poignant, painful tale about how love destroys us. Rosewater is about Bernal's other love, the political, but I don't doubt that he'll be in more films in the future with heavily romantic themes. The day he's in a rom-com, though, is the day hell freezes over. There's a good chance Bernal isn't dating anyone right now, considering his recent split. But then again, he has some interesting views on monogamy. So, we might not know who he's dating, if anyone, but we can think about it (and will, obsessively).